CCTV cameras. For businesses, they’re cheap, unobtrusive, and useful ways to protect your inventory and your business from thieves and misconduct. And signs are a good way to put malefactors on notice that they’re being watched. Here’s how you go about it. The first step is to make sure that your cameras are posted properly! In most places, it’s only OK to put cameras where there is no expectation of privacy. It’s probably fine to have security cameras in your warehouse or your office, but don’t put them in places where they can look into a bathroom stall, hotel room or a dressing room. If you film those places, you can be sued for violating the privacy rights of the persons caught on camera. A caution: make sure you aren’t making any audio recordings when you’re using security cameras! Recording people’s conversations without their consent is wiretapping, which is a federal crime. Second, to be effective, get signage to warn people that they are on camera. 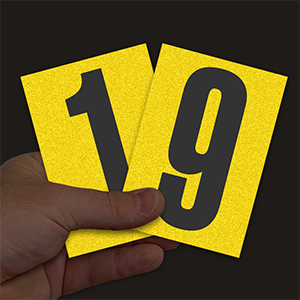 It acts as a deterrent to potential criminals, it provides evidence for your insurer and it allows law enforcement to find the culprit in the event that something goes wrong. 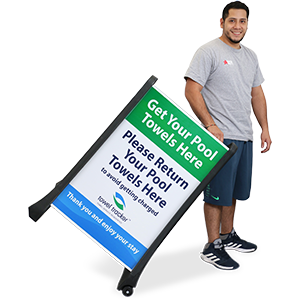 SmartSign has a wide variety of products for every circumstance! Third, post the signage. Make sure that the signs are visible from the places that you want to protect, and that you have enough signs to cover all entrances to your property. You want people to know that they’re being watched so they behave better! A good rule of thumb is that every inch of letter height is legible from 25 feet away. 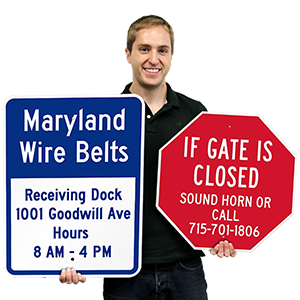 Choose your sign size and text height appropriately. As always, if you have questions, feel free to contact us!